There are many ways people try to quench their thirst. Whether it be an ice cold glass of milk or a cool sip of water, people are always trying to find a way to appeal to their taste buds while also receiving the nourishment their body needs. One of the most popular things people love to refresh themselves with is tea. Iced or hot, herbal or black, there are so many types of teas for every need. One tea that is very good for your oral and bodily health is green tea. Having amazing benefits for your smile and for your body as a whole, green tea is definitely something to smile about! One of the great things about green tea is that it is excellent for your heart. Being full of catechin, an antioxidant that fights of and prevents cell damage, green tea is able to keep your heart healthy and strong. Also, studies have proven that drinking green tea causes a larger amount of activity in the part of your brain that controls working memory. Being shown to block the development of the type of plaque that has been linked to Alzheimer’s disease, green tea has amazing perks. 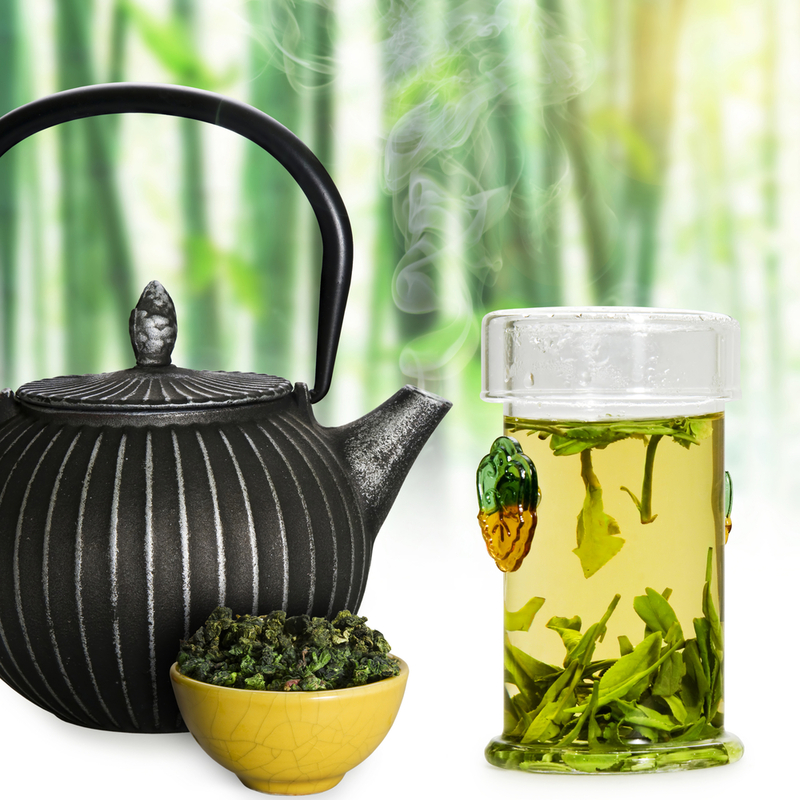 If you or a loved one has diabetes, green tea has been shown to stabilize blood sugar levels. Containing an amino acid called theanine, green tea can have a calming effect on those who are overworked and under a lot of stress. If you are trying to lose weight, green tea boosts your metabolism, causing you to burn more fat calories! So the next time you think a cup of green tea is just for pleasure, keep in mind there are awesome bonuses associated with having a delicious, refreshing cup of green tea!